Knowing what kind of grass is growing in your lawn is vital to planning your lawn care schedule to maximize the turf's health. Because Bermuda grass is a hardy grass that grows rapidly under certain conditions, it can be an optimal grass to have in some places. But it can be considered a weed--an invasive grass--in other areas, particularly in lawns that are composed of more delicate types of grass. 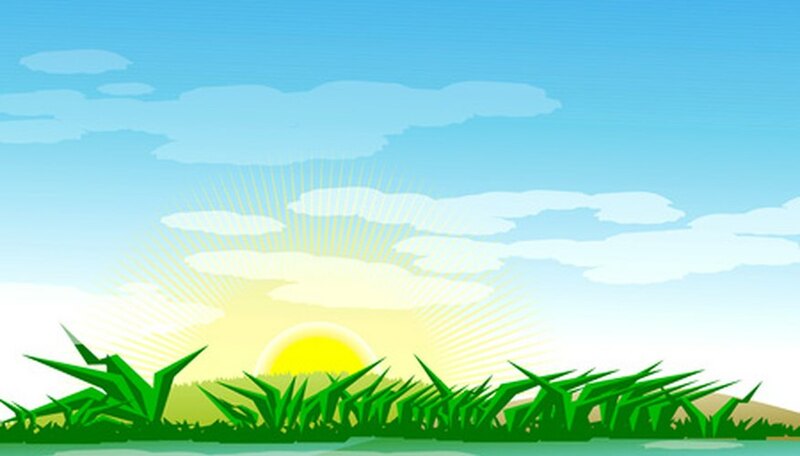 While it's a good idea to consult a turf professional if identifying your grass type is imperative or if you must know your grass type immediately, there are some ways to determine whether you have Bermuda grass simply by determining how it grows and what it looks like, and to some extent to where and when it grows. Determine the season in which the grass actively grows. Bermuda grass is most active in the spring and summer months, typically late March through early September. Also consider the geographic location in which your grass is growing. Bermuda grass grows in the southern United States and in South America, Australia, India and Africa. If you're in the northern part of North America or other places where Bermuda is not native, you can safely assume your grass is not Bermuda. Observe the plant's response to environmental changes. Bermuda grass goes dormant during dry spells or cold weather and returns to life when the weather is warm and wet again. Watch the plant's reaction to irrigation and fertilizer. When Bermuda grass is properly watered and fertilized, it grows very rapidly in comparison with other drought-tolerant warm-season grasses in the South. Look at the flowers on the grass in question. Bermuda grass forms flowers in the late summer to early fall. Flowers are spiky branches in groups numbering three to eight branches. The flowers cluster on the tip of the grass stem; they often look like birds' feet. Look at how the plant reproduces itself. All varieties of Bermuda grass reproduce by stolon or rhizome. Rhizomes are stemlike roots that offshoot horizontally below ground. Stolons are similar but spread out above ground. Some varieties of Bermuda grass produce seeds. A horticulture or botany specialist at a local college or university may be able to help identify whether a grass is Bermuda grass if you are unable to positively identify it yourself.